Product #60506 | SKU 8-ANV-HDMI-LOCK | 0.0 (no ratings yet) Thanks for your rating! Keeps the HDMI cable in place while protecting the plug and port from being damaged. 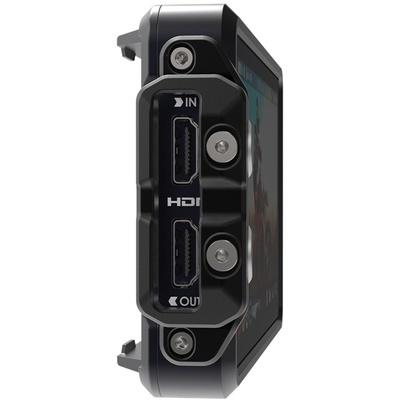 The 8Sinn HDMI Lock System for Atomos Ninja V is a protective cable clamp that has been designed to be attached directly to the monitor. It prevents the cable from being accidentally disconnected. Keeps the HDMI cable in place while protecting the plug and port from being damaged. Mounting bracket is attached to side of the monitor by two screws, then 3-parted HDMI cable clamp is attached to the mounting bracket. Silver parts of the clamp are movable, which allow to adjust the clamp opening to the size of the cable`s plug.